Uprights and top rods are manufactured from 42.4mm diam x 3mm thick fully hot dipped galvanised steel. Uprights locate into galvanised steel sockets and components are held together with kee klamp joints. 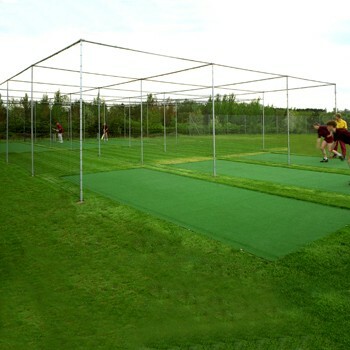 Cricket cages are available in a wide variety of lengths, bays and heights. Please contact us if you require any different sizes.